ForestFinest Consulting GmbH merged with Offsetters Climate Solutions Inc.
CO2OL and ForestFinest Consulting are happy to announce the merger with Offsetters Climate Solutions Inc.
Offsetters is Canada’s largest and most diversified carbon management solutions company. 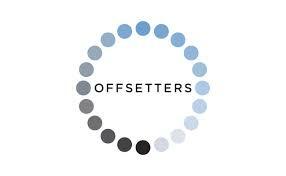 Its team of industry leaders specializes in the origination, development and commercialization of high-quality carbon offset projects, and through a comprehensive offering of sustainability consultancy services Offsetters helps organizations understand, reduce and offset their climate impact. CO2OL will complement Offsetters current carbon business, creating an international advisory and consultancy helping hundreds of clients understand, measure and reduce their carbon impact. To Offsetters belongs also Era Ecosystem Services. Era is a leader in global forest carbon project development, ecosystems services, and conservation finance offering fully integrated services from project origination, technical development, community and socio economic development, software solutions and commercialization services. Please find detailed information on the affiliation in the Press releases of Offsetters and Forest Finance.